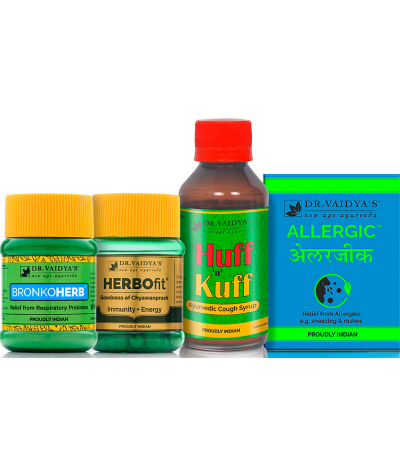 Dr. Vaidya’s has more than 150 years of Knowledge and Research on Ayurvedic Health Products. 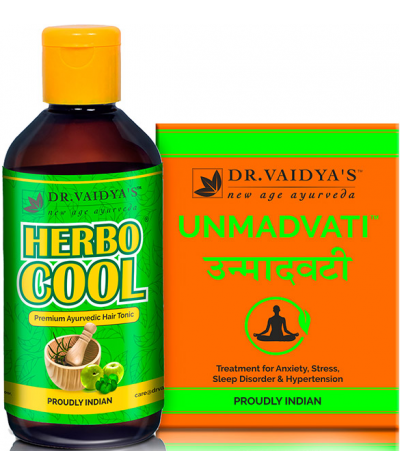 Dr. Vaidya’s is a new age Ayurvedic products business founded by a family with 150 years of Ayurvedic heritage. Over the last 150 years, Vaidya family members have passed down formulations from generation to generation and treated thousands of patients in the process. 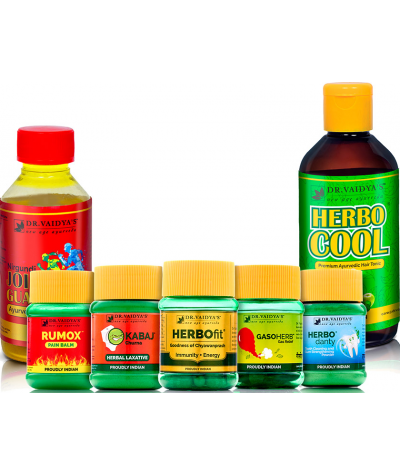 Today, the company owns 96 FDA approved formulations for Ayurvedic proprietary medicine all manufactured in-house in our own ISO 9001:2015 approved, GMP certified factory in Silvassa (250 km from Mumbai) that has also recently been US FDA Approved. 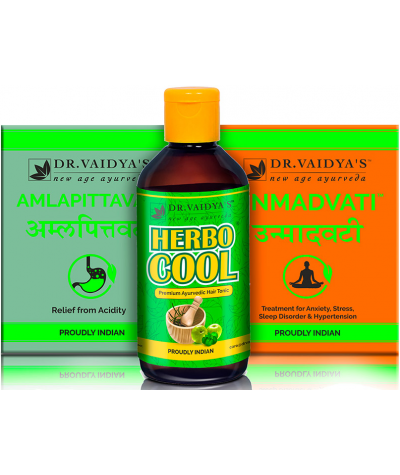 This special pack from Dr. Vaidya’s comprises of two of the most reliable acidity and hypertension medications namely Amlapittavati and Unmadvati respectively. 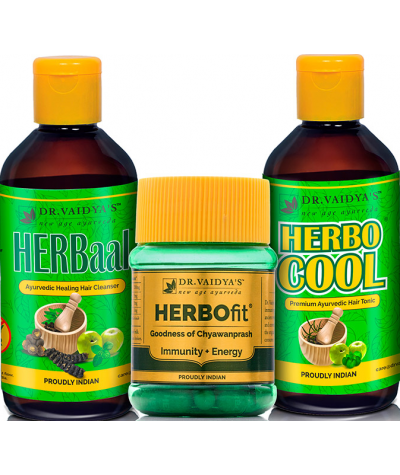 Designed to last for a month, this healt..
With Dr. Vaidya’s Anti-Hair Fall Pack you can now rest assured of giving your hair all the care and nourishment that they need, that too in the most natural, herbal way possible. 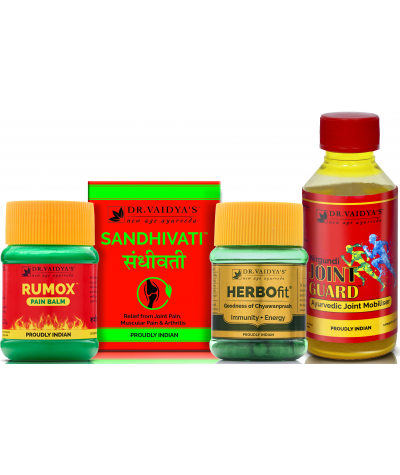 This hair fall treatm..
Dr. Vaidya’s Arthritis Health Kit comprises of our revolutionary chronic arthritis products, Sandhivati, Rumox balm and Nirgundi oil (for instant relief) and our highly effective immunity and energy b..
Dr. Vaidya’s Asthma kit is the best treatment for asthma, which combines Bronkoherb powder and Herbokof syrup for effective treatment of bronchial asthma along with other respiratory ailments. It also.. 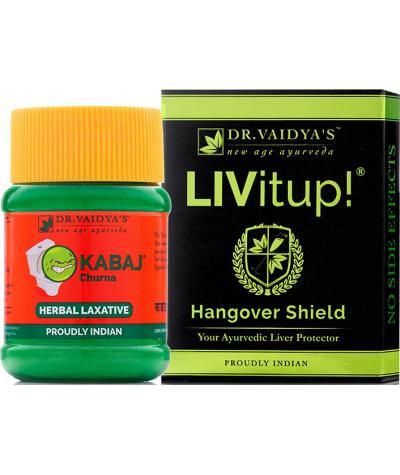 Comprising of liver strengthening capsules, LIVitup! 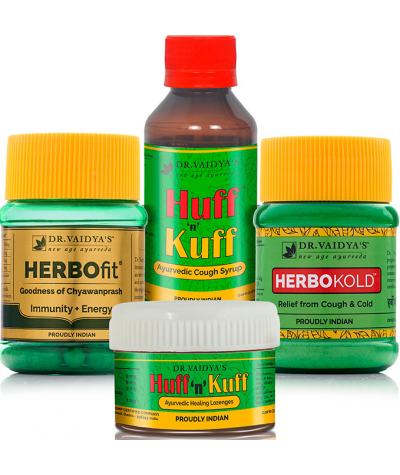 as well as digestive pills Kabaj, the Constipation Pack is designed to last for a month, at the end of which you are bound to feel lighter and heal..
Dr. Vaidya's Cough and Cold kit combines our best medicine for cold and cough, Huff N Kuff Lozenges and Huff N Kuff Syrup that safeguard the body from cough and throat irritation, along with Herbokold.. In the fast-paced lifestyle of the modern era, all of us indulge in binge eating and follow an unhealthy diet, more often than we should. Then again, our demanding work schedules and social lives are ..
For all we know, something as trivial as a headache can crush our spirits and debilitate that clarity. 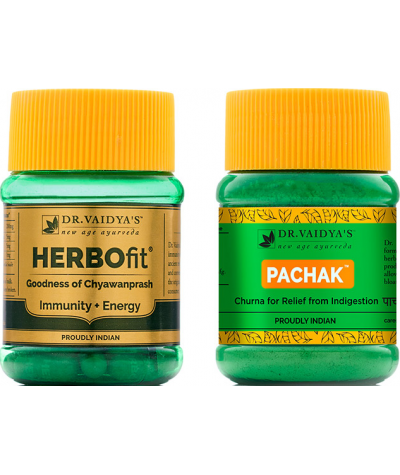 Thankfully for us, Dr. Vaidya’s Headache Pack is here to the rescue. 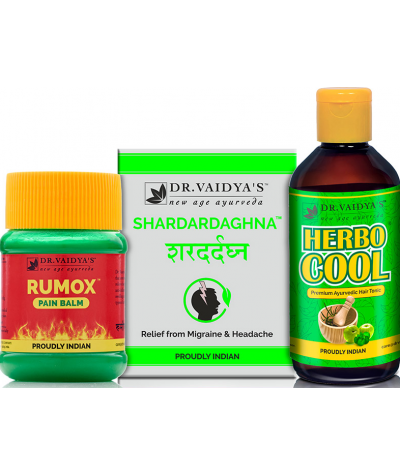 With as many as 3 Ayurvedic..
Migraine is one of the most common reasons for persistent headaches, the intensity of which usually ranges from moderate to severe. 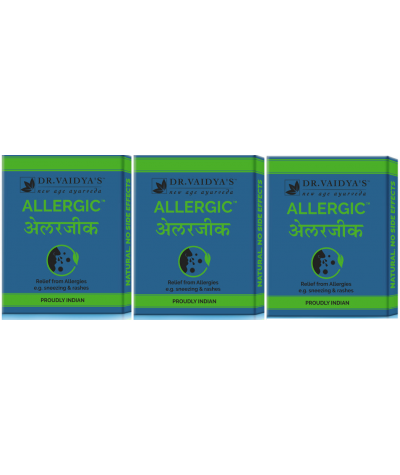 Accompanied by sensitivity to light and sound, sometimes this ailmen..
Dr. Vaidya’s No Stress Pack ought to be a part of our daily life. 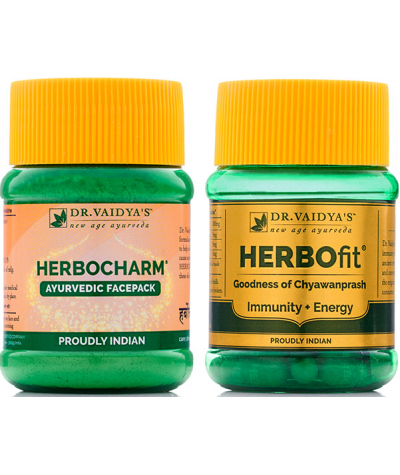 With as many as 3 Ayurvedic medicines for stress, this pack helps balance the 3 doshas, while enabling us to lead a relaxed, stress-fr..
Dr. Vaidya’s have designed a special Pre-Wedding Beauty Pack for brides-to-be. 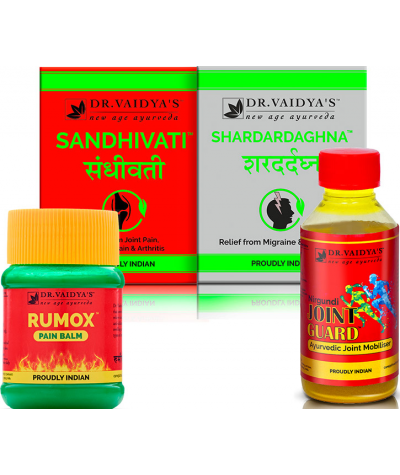 Comprising of as many as 4 astounding pre wedding beauty treatments, this pack offers a one-stop solution for all your sk..
Dr. Vaidya’s Senior Citizen Pack is here to the rescue. 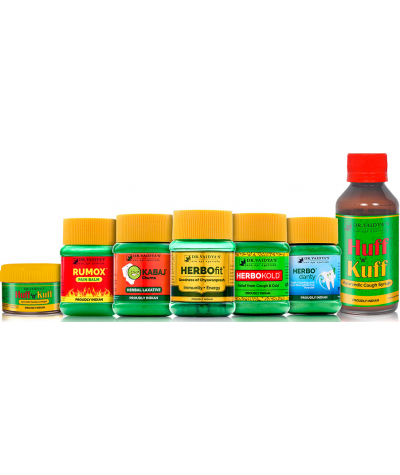 Comprising of as many as 7 Ayurvedic products, this special health pack will help you lead your golden days in the healthiest way possible!.. In today’s time when appearance matters as much as one’s inner quality, a good skin proves to be a boon for one and all! For all you know, Dr. Vaidya’s Skin Pack offers just that. Ideally designed to.. This strenuous way of life takes a toll on our sleeping habits, leading to hypertension and anxiety. Thankfully for us, we now have Dr. Vaidya’s Sound Sleep Pack to rely on. 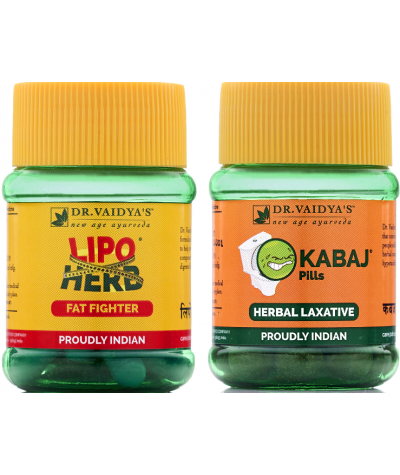 Comprising of two effectiv..
Dr. Vaidya’s Weight Reduction Pack is essentially a treatment for obesity and hyper cholesterol. Comprising of Lipoherb, the trusted ayurvedic medicine for cholesterol along with the weight loss table..
Allergic is a specially formulated tablet that aims at treating the respiratory congestion, by slowly de-sensitizing you to various allergens, such as dust, pollen grains etc. 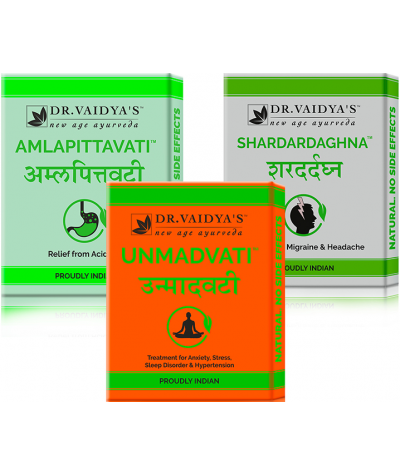 An ideal ayurvedic medic..
Amlapittavati is an Ayurvedic formulation of various herbs to heal peptic ulcers, hyper acidity and gastritis. 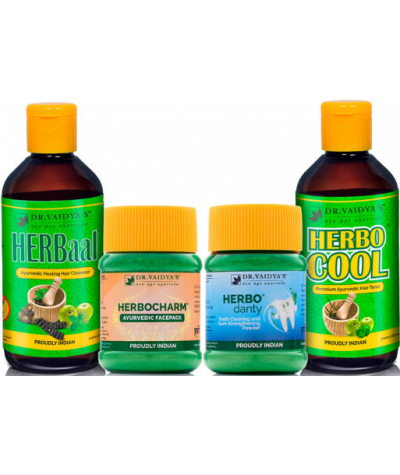 he combination of all ingredients is soothing and cooling to the stomach and bowels which.. 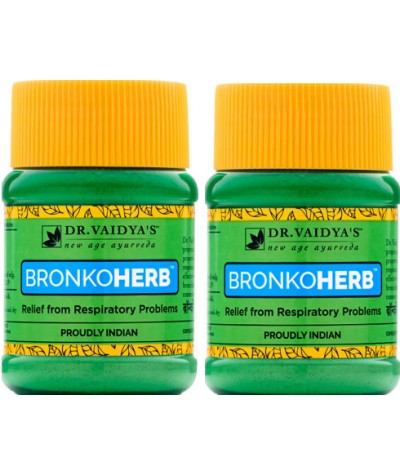 Helps to provide relief from Respiratory ailments (asthma), chronic bronchitis, bronchial asthma. • Bans kapur, Lavang, Elaichi, Lindpiper, Taj, Sunth are long toners and anti septics. Jyeshthimadhu g..